#1 I’ll be at the mercy of my host! … yes because hosts like to behave like whiplash baring ringmasters who will prefer nothing more than torturing poor lads and ladies who are in their homes as guests. And their rules will be enforced in such a claustrophobic manner, that you’d rather live on the street and get mugged. (okay, yes, I exaggerated a bit much.) No but most of the hosts are very very very hospitable, and some of them may not even be around because they’re out traveling to someplace. That’s just not even true. Sure your hosts may be a close knit warm happy family with poor sense of timing, but they won’t invade your privacy as the British did India. In most cases hosts are mindful of their children and give you your space, and yet should you feel claustrophobic, just tell them to back off, and lock your room! Yeah, No. They will be. You just need to inform your host – how many of your family members will be staying with you, and they’ll do the needful. Most hosts have a separate outhouse or guest room which can accommodate up to two occupants. Some people even have villas.. where will you find such hosts you ask, um well, this is awkward. 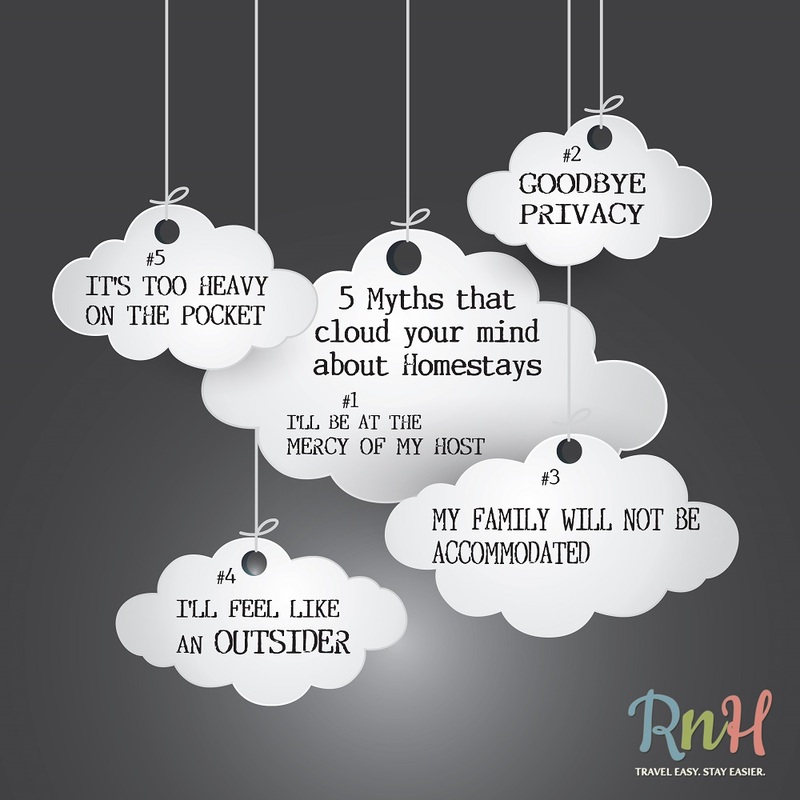 Have you not heard of roomnhouse.com? Hosts usually go the extra mile to make you feel comfortable and at ease with the new environment. They’ll even show you around and give you delicious home cooked food, just basically make your life easy. If you’re unaware of the phrase “Home, away from Home”, you don’t belong anywhere near this blog. Because that’s pretty much the crux of a home-stay. So if you keep focusing on how you don’t fit, you’ll never see the ways in which you do. Give me a minute to recover from that one. Seriously?! have you never done a comparative price check? Rain walking in your city!